Alasdair Thompson might like to use this time between jobs to brush up on employment statistics so next time he makes public statements they might have some basis in fact. The board of the Employers and Manufacturers Association has dismissed its CEO Alasdair Thompson, following his controversial public comments about women’s productivity. 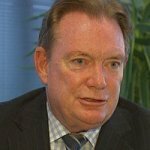 EMA President, Graham Mountfort, said the board believed Thompson was no longer able to continue as CEO of the organisation. “As this is an employment matter, we do not believe is it appropriate for the EMA to be making further comment at this time,” said Mountfort. He said Bruce Goldsworthy has been appointed acting CEO for the EMA. In an interview with Newstalk ZB, Thompson said some women needed sick days every month, along with extra time off to care for children. “Let me get down to tin tacks. The fact is women have babies. They take time out of their careers,” he said. External pressure had been mounting on the EMA board. On Friday Air New Zealand said it was ending its association with the EMA over Thompson’s comments. When something like this becomes a public debate with other organisations and politicians wading into the fray it is very difficult for an employer like EMA to conduct a full and fair disciplinary process. These things usually take time and with many publicly baying for blood it is a credit to the EMA that they kept their composure and followed their process through. Alasdair Thompson may have kept his job if he had apologised immediately and said he had made general comments that on reflection were totally inappropriate and not sustainable in the light of factual scrutiny. He also should have said that his comments were personal and in no way representative of the views of the EMA. Instead of immediate contrition, Mr Thompson went on the attack and tried to defend his comments. His aggressive action towards a female reporter in a television the following day were what sunk him. From there his position as a senior executive representing the interest of the EMA was untenable. He may think he has been assassinated by the outcry from politically correct tree-huggers, but in reality he is the author of his own demise by holding onto a set of beliefs about women in the workplace that had no basis in fact. Rather than keep these prejudices to himself he was prepared to share them on national radio and arrogantly defend them.